​Argentina's technical director, Cesar Luis Menotti believes that star player Lionel Messi is struck by the "emotional fatigue" of playing for both​ Barcelona and the national team, claiming that "the star has a lot of emotional baggage to deal with". The 31-year-old has returned back to the national fold for the first time in nine months, after he took a sabbatical post their disastrous World Cup outing in Russia. 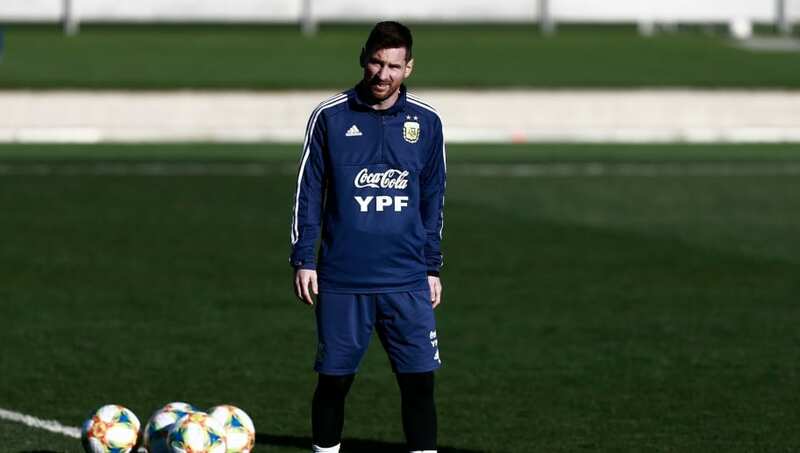 Menotti is not confident that Messi will return for their upcoming friendlies despite head coach Lionel Scaloni's insistence that he will play. "It scares me that Messi plays. I see him emotionally fatigued between the Champions League and the national team. I see him very tired. He has a lot of obligations and with a lot of emotional baggage, a lot of responsibilities at his feet," Menotti said as quoted by ​Sky Sports. Argentina are scheduled to play Venezuela in Madrid on Friday before travelling to Morocco on Tuesday and while Messi has returned, a number of stars including the likes of Sergio Aguero, Gonzalo Higuain and Mauro Icardi have been left out of the squad by Scaloni. The striker is his country's all-time leading goalscorer with 65 goals in 128 games and will no doubt add to that tally if he does decide to represent Argentina in the near future.